The Fort Worth Stockyards' National Historic District is a terrific place to celebrate the romance of the American West. 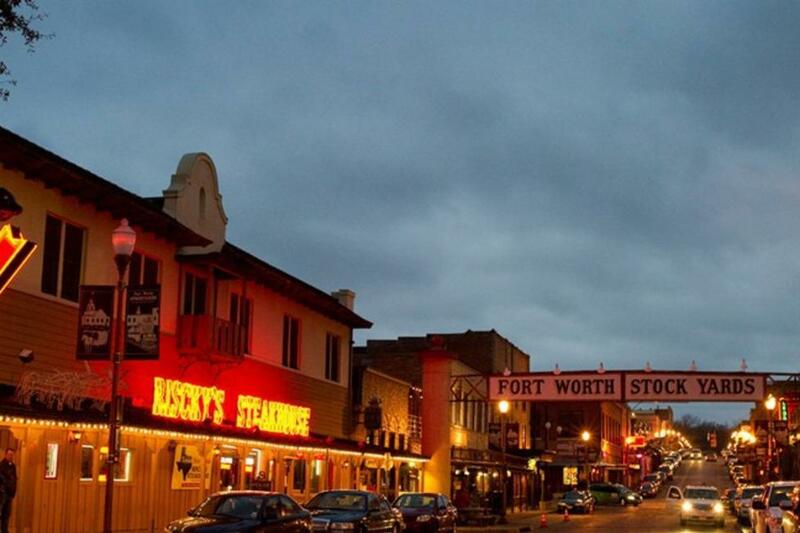 Covering 15 square blocks, the Stockyards are home to hotels, restaurants, shops, the Texas Cowboy Hall of Fame, and some great western nightlife including Billy Bob's Texas … the "World's Largest Honky-Tonk". Billy Bob’s is open daily and hosts top country music performers. The Stockyards also host the famous Fort Worth Herd. As the Herd approaches, you’re greeted by the jingle of spurs, cattle bawling, and rhythmic hoof beats that bring a bygone era to life. Herd cowhands present a fun and educational demonstration about the tools, equipment and techniques used during the cattle drives of the late 1800's.